So people on my street might have seen me spraying a few things on my lawn yesterday. In my side yard the grass is a bit weak and had some weeds so I sprayed Spectracide Weed Stop on it and in my back yard where I haven’t treated yet. This helped me win in my front yard that is now virtually weed free. It only cost $5 at Lowes and gets the job done. Some of you really need to use it. Yes it will kill the half of your lawn that is weeds but Bermuda is tough and will come back. If you have St. Augustine use the stuff that’s marked for that. The product everyone should use is some sort of insecticide. Mosquitoes and several other bugs can have a pretty short range so if everyone sprayed for them, we would put a huge dent in their population around here. 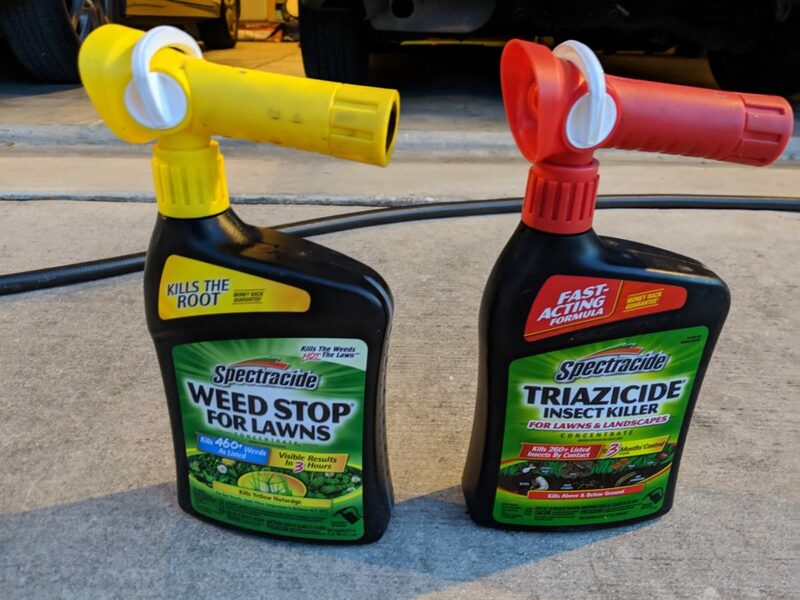 I sprayed the Triazicide product yesterday and while walking in my yard this dusk/evening I had zero bugs flying around. I just thought I would share here a couple of the things that have helped me get my yard in shape.